Many variations of viable piping have been introduced since plumbing has become an astounding innovation. 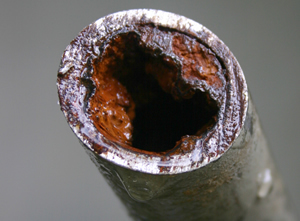 Materials that are in use today range from copper to plastic, but there is a material that is often debated as being the best for use for water lines. Stainless steel has many pros to it, but also within this article I am going to cover the cons. That being said, I will also go over the alternatives that can compete with stainless steel in becoming the material-of-choice in the architectural world. Stainless steels are corrosion resistant metals, which are protected by the formation of a self repairing oxide film. This film is an amazing phenomenon mainly due because it protects the inside layer of the pipe from corrosion by presenting a barrier between the fluid running through the piping, and the metal itself. Along with this, stainless steel has plenty of other advantages in the piping market. 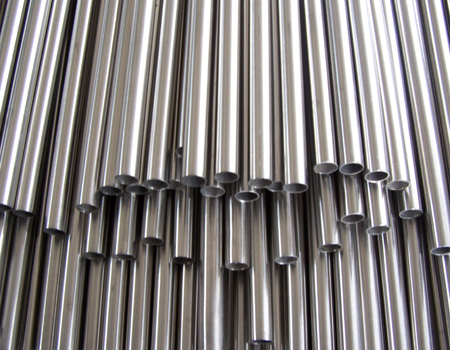 Stainless Steel has a generally low corrosion rate in water, and no corrosion allowance is required. High flow rates in excess of 40 meters a second pose no risk to the pipe. Corrosion resistance in conjunction with the high strength stainless steel offers allows room for reduction in section diameter, wall thickness and weight, making it quick and easy to install. Stainless Steel is ductile, allowing it to be easy to be bent and cut with the right tools. Stainless steel pressfittings in particular are easy to use for joints, and ideal for installation in areas with limited space and access or where the use of heat would be a problem. Stainless Steel can be used in all types of water, falls within the limits set up for piping to come in contact with drinking water in public supply. High resistance to the full range of potable waters (including various chloride levels). Installation is clean and if properly carried out, does not contaminate the system and reduces flushing times. No heat is required to form a joint or a groove, reducing fire hazards. Therefore hot work permits are not required. Stainless steel is fully recyclable. Stainless steel has a 50 year gain over competing materials in lifespan. Stainless steel requires no additional coating. Post-installation maintenance is minimal, reducing system downtime. Although cost for SS piping may be higher than other materials, the economic benefits of using stainless steel increase over time. At the end of its useful life, stainless steel is fully recyclable and retains a higher residual scrap value than ordinary steel. On top of all of these benefits stainless steel gives you, it is also very aesthetic in blending in well with modern architecture, and most often they do not require painting and can be left to be visible. Here at Bryan Hose we sell all sorts of grades of stainless steel, and are the local experts on the subject. We can give you plentiful advice on projects and materials that you may be seeking. So go ahead and contact us at the button below if you have any questions, your project is only one pipe away. I would have to agree that stainless steel tubes are some of the most resilient metal around. The fact that they do not corrode, or that they can be used for almost any purpose. So I can see why they are being used all over the place. I think that we often forget about what’s going on inside pipes and tubes where we can’t see anything. I like stainless steel therefore, since like you said, it’s very resistant to corrosion. It looks good on the outside, but it’s going to stay looking good on the inside, too. That’s the more important part. Having something that resists corrosion is really cool! I did not know something like that was even possible either. I think I will still try and treat the pipes with some chemicals to slow the process down. Thanks for making this known to me! This was an interesting article about stainless steel. I had no idea there were so many benefits. The fact that stainless steel has low corrosion n in water is interesting. My husband and I have been thinking of getting a stainless steel hose. I will have to show him this and see what he thinks. Next Next post: Copper vs. Steel Pipe Fittings: Which Piping for My Application?